We need to develop a path that not only leads some prospects to a final sale, but we also need one that appropriately identifies, qualifies, and eliminates prospects along the way, depending on their predisposition to purchase the final product or offering. Picture a “sales funnel.” You know—the funnel that shows the stages of a sales pipeline over a client’s life cycle. What do you envision? 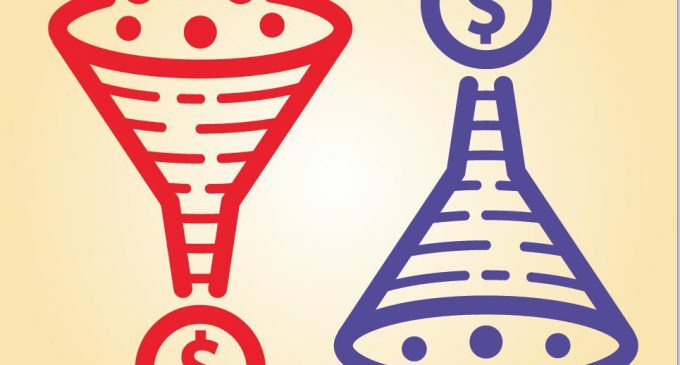 My guess would be the iconic funnel that marketers have been using for years: the funnel that’s wide at the top, where prospects simply “fall” into our sales pipeline. In my experience coaching agents, brokers, and carrier teams, I’ve learned that nobody confidently wakes up with that endless supply of prospects. For most of us, the opposite is true. We dump prospects, en masse, into our pipeline and then hope they fall easily to the bottom. It’s a numbers game that does not work and, to be honest, isn’t any fun. In my mind, it’s time to rethink the notion of a passive, wide-at-the-top funnel powered by gravity alone. In my mind, we need to flip the sales funnel. An inverted funnel provides a visual metaphor that I believe is more realistic and more closely aligns with how we should operate. When you turn your sales funnel upside down, it’s easy to envision each stage of the sales cycle as a path up a mountain—a path with numerous steps. There are multiple paths, but eventually they all reach the top. Now, climbing a mountain is more strenuous and requires more effort than falling through a funnel. Some prospects may tire and fall off or turn back. To help prospects reach the top—and reach it more quickly and easily—it makes sense to reverse-engineer the sales cycle and look at it from the prospect’s point of view. We need to develop a path that not only leads some prospects to a final sale, but we also need one that appropriately identifies, qualifies, and eliminates prospects along the way, depending on their predisposition to purchase the final product or offering. Work backwards and identify each step you need to move from winning a new client to finding a lead. The first step is to profile your ideal prospect. Think about your existing loyal clients—those you like to work with, those who truly benefit from your process. What makes these relationships win-win? Usually it’s not about the demographics or even the coverage they have with you. Which clients are you passionate about serving? What makes you click with certain clients? To profile your ideal prospect you need to understand how and why the relationships work with your best clients. Instead of trying to fill your pipeline with a bunch of names, drill down to determine what truly makes your product, service, solution, or process tick with prospects. With an inverted funnel, prospects are climbing up the sides and falling out. Why are they falling? Because either they were not qualified or the path you laid out in the buyer journey was too complicated for them to continue up toward the ultimate sale. For many of us, the “learn more” step is our initial qualifier. Once the prospect requests more information, you’ve begun to qualify a lead appropriately. It doesn’t matter how you find your leads. Many agents and brokers use an online search tool, such as LinkedIn for Business or Sales Genie. You might meet leads at a networking event, or they may visit your website or social media sites. How much time can the lead allocate to insurance procurement and best practices risk mitigation strategies? Does your lead have the authority to make a decision? Who is the incumbent agent or broker, and what is his or her relationship with your prospect? Knowing the answers to these questions will help you keep your prospects from falling off your sales funnel with a resounding thud. You can’t move an identified lead to the prospect category unless he or she has sufficient information about your unique process. During this stage you begin to provide information that sets you up as the expert in your niche or specialty. You should know the top three risks in the lead’s industry and understand what risk mitigation strategies have worked for similar businesses in the past. When you provide information, make sure it shows the lead that you can solve the problems inherent in his or her business. For example, if your lead owns a construction company, be sure you have current knowledge of safety and workers comp issues. If your lead runs a business that collects customer information, make sure you know everything about cyber liability. During the information step, you can begin to build trust and develop credibility with the lead by demonstrating your expertise in and knowledge of their business and industry. If you are new to the niche, research it and learn from others. Talk to your carrier representatives. Make it your ongoing mission to acquire knowledge that others will rely on, and develop a list of additional experts who can help you and the lead. At this stage, you’ve identified and prequalified your prospect and given him or her a reason to want to speak with you. This is when you set up a face-to-face meeting at which you provide a compelling value proposition that will make you irresistible. Remember, you are the expert in this industry. What statistic or unusual fact would entice the prospect to learn more? In this step, you begin to build your relationship and continue to gather information about the prospect. Focus on mitigating the issues that keep the prospect awake at night. The prospect will identify you as a competent risk consultant who has something of value to offer. Remember to put your prospect’s needs ahead of your own. Think in terms of solving the prospect’s problems. 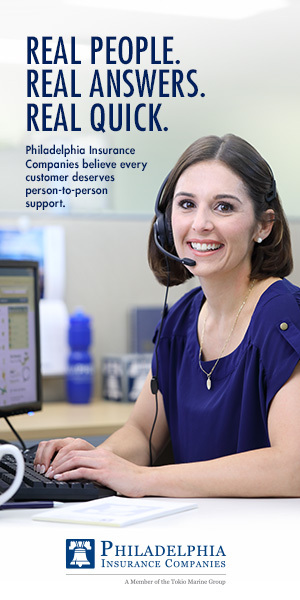 Help the prospect consider risk concerns that he or she may never have thought about. Ask open-ended questions to delve into the issues the business is facing. Asking these questions not only will help you ascertain what will best suit the prospect’s needs, but doing so also will build confidence and trust. Focus on understanding your prospect’s goals, passions, and struggles. What does the prospect value most about his or her business? What pain points are you uniquely qualified to resolve? When you address the prospect’s values, needs, and pains, you transform your offerings from product-focused to solution-oriented. To use the inverted sales funnel properly, you should plan to invest 90% of your time, energy, and effort in understanding the prospect and business you want to serve. Specifically, make sure you know everything possible about the risks inherent in the industry, and be thoroughly familiar with coverages, gaps, and exclusions. Know what the prospect wants and needs. Go beyond technical knowledge and actually connect with the prospect to form a true relationship. Because the education process is different for each industry and client niche, the number of steps you’ll take to convert a lead to a prospect will vary. The fewer steps to a sale means the fewer opportunities your prospects have to opt out and become disinterested in what you have to offer. Also, the sales process for one prospect may be entirely different from the sales process for another, even if the end product or service is the same. You will focus your time and attention on the prospects who are most likely to become clients. You will target your efforts on potential clients who will appreciate your unique process and expertise in their industry. You will add predictability to the sales process. You will end up with an engaged prospect who most likely will turn into a loyal client. Once you have identified the path a lead should take to be qualified as a prospect for your offering, begin to implement the program. Monitor the plan so you can identify which stage in your sales funnel might cause you to lose potential new clients. 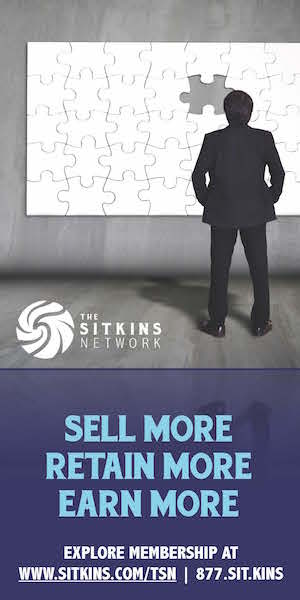 Modify the sales process as needed. Make sure your prospecting campaign is reflected across your print and digital marketing, website, and social media. By implementing the inverted sales funnel, you’ll find that you’re generating increased qualified lead generation and improving your closing ratio. The inverted sales funnel is an effective tool for prospecting success. Prepare for the climb!